In caring for all of our animals, we go through a lot of items and supplies – so we happily welcome individual, organizational, and corporate donations from our Wish List! 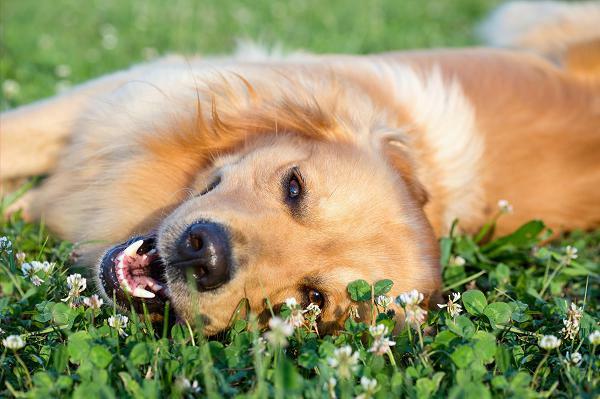 New dogs and cats arrive every day with different needs – from the basics to dietary, housing to medical, and the need for play and social interactions. As a 501(c)3 non-profit animal welfare organization, donations made to the shelter are fully tax deductible as allowed by law. If you enjoy shopping, use AmazonSmile and .05% of your eligible purchases will be donated to EASEL Animal Rescue League! There’s no paperwork to fill out. All you need to do is shop through AmazonSmile and confirm that EASEL’s name appears as the charitable beneficiary at the top of the page. Easy, fun and greatly appreciated by our shelter animals and staff! 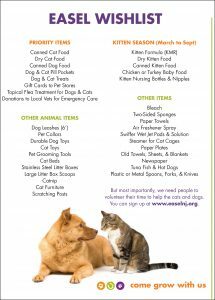 Purchase Wish List items and have Amazon ship them directly to us at EASEL Animal Rescue League, 4 Jake Garzio Drive, Ewing, NJ 08628. Our furbabies will be so happy to receive your gift package! All of us (animals and folks) appreciate your generosity. You can even spread the love by sharing EASEL’s Wish List (PDF) with your friends, work colleagues, school clubs, and even fantasy football league. Thank you from the bottom of our hearts! (By the Trenton-Mercer Airport off I-295. (c) 2019 EASEL Animal Rescue League & Pet Adoptions. All Rights Reserved.